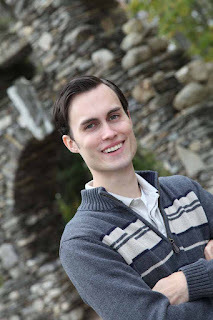 Scott, welcome to Homeschool Authors! Tell us a little bit about yourself. Thank you, I'm excited to share my story. I am a Christian and was homeschooled right through high school. I grew up absolutely loving books. Primarily I read history. 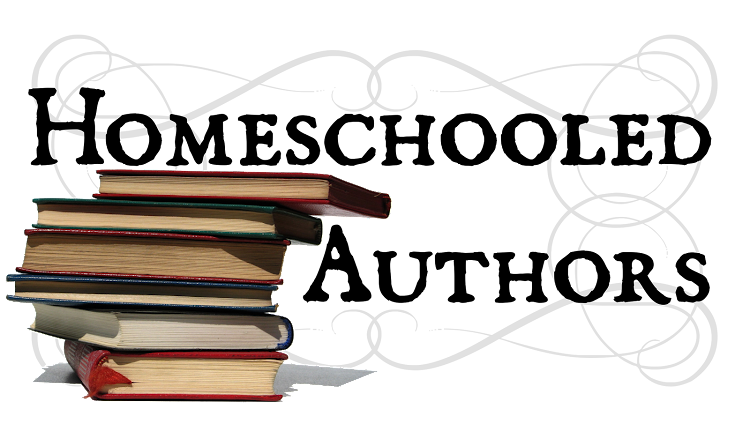 I loved biographies and went through the different historical periods by reading about the people that interested me most. In particular I enjoyed ancient history and early American. When I was 17 I graduated and traveled to Thailand as a student Christian missionary. I was there for three months and, while there, watched Lord of the Rings for the first time. I had never read fantasy and after seeing that movie I realized the incredible story potential in creating a fantasy world. That was when my series The Sword of the Dragon was born. Back in the U.S. 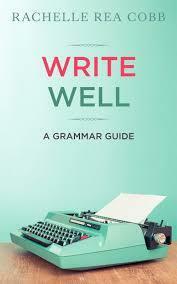 I picked up books on editing, writing, and publishing and began educating myself on the whole publication process. Test readers were crazy about the story, so I knew I had something worth finishing. I approached a publisher initially at a conference, but after two years the novel was rejected. So I started a little publishing company of my own and released my first novel Swords of the Six. 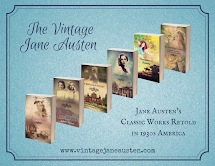 It sold over 3,000 copies in a year and garnered the interest of AMG Publishers out of Chattanooga, Tennessee. I signed a contract with them and am now one of their top selling fiction authors. I have a wonderful wife who has encouraged me through the difficult times as my career is established, and we have two children. I hope to encourage people through my fiction to grow in their love and fear of God. The flexibility to explore extracurricular studies. I spent long nights working with my telescope, and many hours buried in books, primarily non-fiction. What was the first fantasy book you remember reading? When I was growing up I never read fantasy. The closest thing to it would be Pilgrim's Progress and Greek mythology. My family was very conservative in their views. We didn't even touch Narnia. I think my first stab at fantasy was when I was 19 and I picked up The Hobbit, but I had already begun writing my own fantasy book a year prior to that. What is your favorite fantasy book or series? Some of my favorite books are 20,000 Leagues Under the Sea by Jules Verne, Joan of Arc by Mark Twain, and Pilgrim's Progress by John Bunyan. My favorite works are those that stand out in my mind for their uniqueness and originality. I do not read a lot of fantasy because I don't want other authors' ideas to influence my own. I'd rather pull from historical accounts and my life experiences for my inspiration. What made to start writing? I know it has been said by many other authors, but I think I always loved to write. When I was growing up my parents really fostered a love of reading in me and my siblings. My mother and I went to numerous library sales and picked up loads of books, borrowed a lot, too. The stories I read awed me. I remember experimenting on my siblings; telling them stories in the tent, or writing them down and sharing them. My imagination was always running away on me with so many ideas I could never keep up. As a published author, what drives me today is the desire to communicate truth and life lessons through stories that entertain, because I firmly believe that messages are better received when they are lived-out, even if the reader only sees it through a fictional character's eyes. What inspired Swords of the Six? I wanted to create a uniquely American fantasy without the trappings of English tradition. I don't think I fully succeeded because I love old literature and definitely pulled from it, but in part I did succeed. 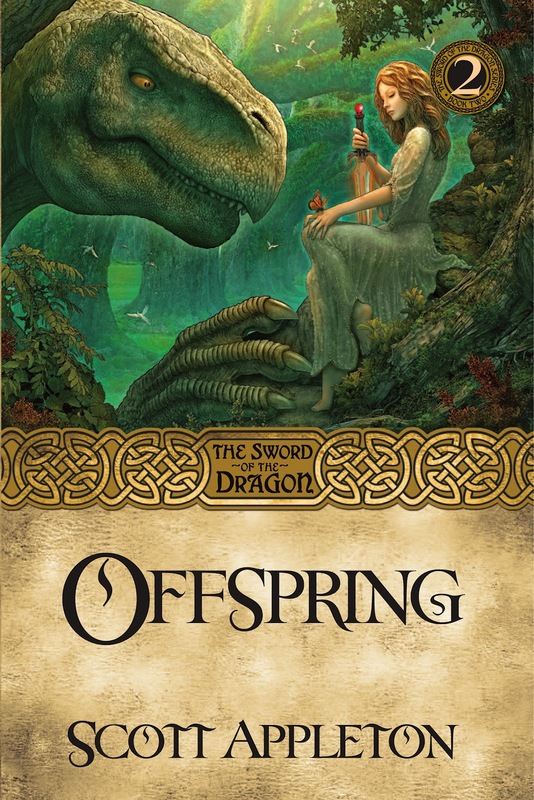 The Sword of the Dragon books take place on a fictional world unrelated to our own. Yet I like to say it is my own mythology, with elements of fantasy and frontier America. Could you give us a synopsis of Swords of the Six? In ancient times a dragon prophet was betrayed by his choicest warriors. One thousand years later he gives the traitors' swords to human daughters (who he hatched from eggs) and sets them on a quest to find a traitor who escaped. Either the traitor will repent, or he must pay for his crime with his life. Who can you see enjoying this book? 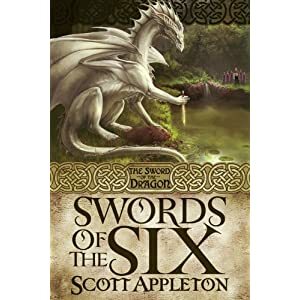 Because The Sword of the Dragon series is not an allegory, it appeals to fans of both the Christian and the secular fantasy series. Most of my fans love Tolkien and C.S. 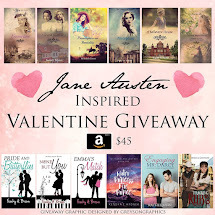 Lewis, but many of them are also fans of Harry Potter, Percy Jackson, and even R.A. Salvatore. Most of my fans are into Young Adult series. Oh yes! This is my career and, as such, many more books are on the table. Currently, I have three novels published in The Sword of the Dragon series. 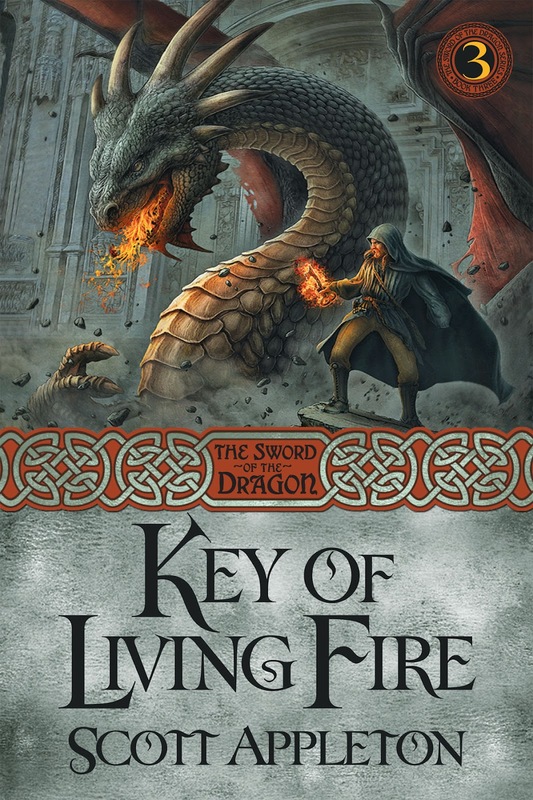 They are Swords of the Six, Offspring, and Key of Living Fire. There will be four more books in that series, and the next release will be titled In Search of Dragons. Besides this, I wrote the first novel in a new series that complements The Sword of the Dragon. The first novel is titled Neverqueen. Also, I am writing a science-fiction/steampunk novel for the YA market. Star Train is the working title and it will likely be a trilogy. I love classy science fiction and this is my opportunity to put that enthusiasm to work. The story is turning out fantastic! 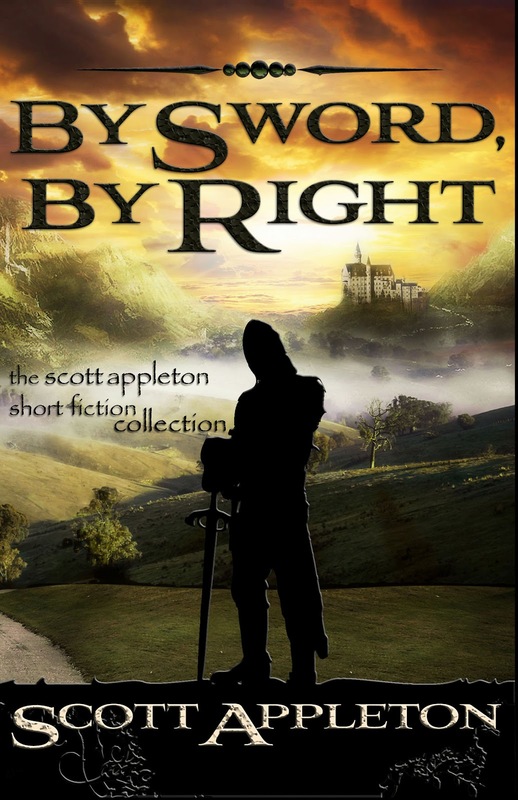 For those who enjoy reading short fiction, my anthology By Sword By Right is available in print and Kindle format, but only through online retailers. I write my stories because they are the type of books I want to read. I love doing what I do! Please be sure to visit my websites. Thank you for doing this interview. I love meeting new readers. Sounds intriguing! I am like you in that I don't read too many authors of my own genre - I want my thoughts to be primarily my own. I also work in English tradition and additionally with Old English. Keep it up!